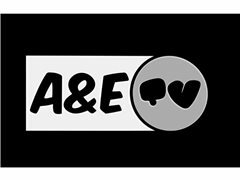 A&E TV is a start up project, where we aim to deliver entertaining, fresh and educational content for young people ages 16 - 25, via YouTube. We want to educate and advise the youth of today by touching on topics relevant to them and the things the go through. Topics such as; money management, peer pressure, young parenthood, sexuality, etc. We look to keep things fresh by delivering our content in a variety of different ways, such as; discussions, reacting to videos and new articles, public interactions, mini games and challenges, etc. Finally, we want to entertain by, making our content engaging, funny and enjoyable, with the help of our talent cast this is definitely achievable. This is start up project, which means it's unpaid. Hopefully it's a success so funds can start rolling in. More info can be provided upon request.